So you want to get healthy, lose weight, or both? Then the Low Carb High Fat diet might be for you, but please judge for yourself. This page is merely an attempt to collect the most important and interesting talks/presentations about this general topic. In a nutshell, it seems carbohydrates are bad for your body, and fats are good. If you think this is crazy, I invite you to do some research on your own. Educate yourself, your body will thank you. If you find a video that you think belongs here, please post it here or at the reddit discussion! I will try to keep this page updated. Good introduction that explains why carbohydrates are bad for you, and fat is good. Studies show that saturated fat is actually safe and healthy, too much carbohydrates can make you fat and sick. Dr. Eenfeldt is from Sweden, and has gathered quite a following for LCHF (Low Carb High Fat). If you only want to watch one video about this topic, watch this. 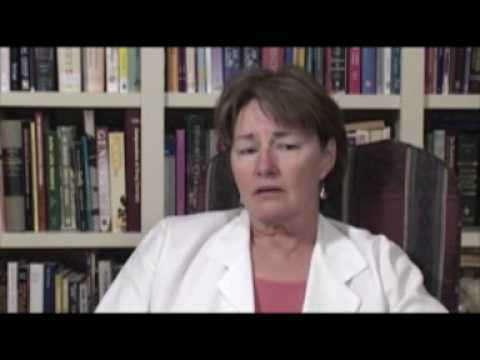 Dr. Mary Vernon, MD, is one of the world’s foremost experts on treating obesity and diabetes with low carbohydrate nutrition. “The job of insulin is to stop fat burning and enhance fat storage”. So all you have to know is how your body controls insulin, its that easy. Unfortunately, food companies want to sell starch and sugar, because it makes you hungry and eat more. A 32 minutes video. “The amount of sugar you have in your blood is a little bit less than one teaspoon. One teaspoon dissolved in your entire blood volume gives you normal blood sugar. Craig B. Thompson, President and CEO of Memorial Sloan-Kettering Cancer Center, discusses new ways to think about cancer and how cancer arises in human beings. 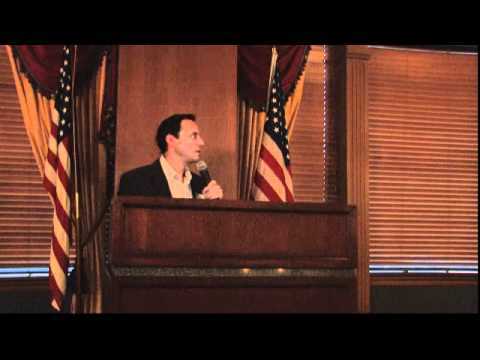 This is a very interesting talk from February 2011. First he explains how cells function in a multicellular organism, why cells have to be told how much to eat every day, how cancer develops by first causing mutations in the glucose uptake, why once a cell can eat glucose it does not think about dying which enables mutations, etc. “To truly eliminate cancer, we have to eliminate or better understand what overeating, obesity and diabetes is all about.”. He posts this question at the end of the talk: Overeating which types of foods increases the risk of cancer? It matters a lot where your calories come from. We now have good evidence that if you overeat with fat, you don’t increase your cancer risk at all. If you overfeed somebody with carbohydrates, you dramatically increase the cancer risk. Protein is halfway in between. David Diamond, Ph.D., of the University of South Florida College of Arts and Sciences shares his personal story about his battle with obesity. Diamond shows how he lost weight and reduced his triglycerides by eating red meat, eggs and butter. You can download the slides here. 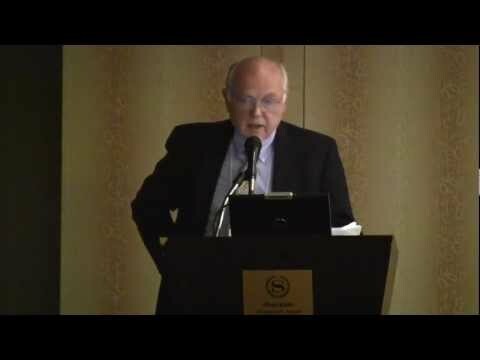 In over 100 slides he explains how fat people how are good for business, how ridiculous bad the science is on which mainstream guidelines are based, how cholesterol is a huge fraud, how butter consumption does not correlate with heart disease, etc. According to Dr. Andreas Eenfeldt, he is almost right, except for one thing: Diamond claims that eating high fat do not raise cholesterol, but on average it does. However, it is mainly the good cholesterol, the HDL, that increases which means that your risk of heart disease is a lot lower. Gary Taubes, author of Why We Get Fat: And What to Do About it (2011) and Good Calories, Bad Calories (2007). He is a scientific journalist who has collected and analyzed a huge amount of studies to find out what actually makes people healthy or sick. 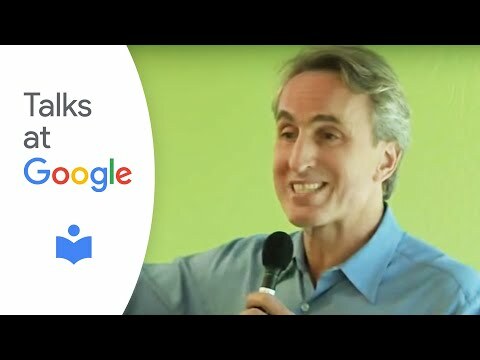 Taubes explains why “calories in calories out” is a true but useless explanation for weight regulation, why exercise might not make you thin, why practicing energy balance is impossible, and a lot more. Important takeaway lessons are: Lesson #1: Fat is stored as triglycerides in the body’s fat tissue. It is too big to get out, so your body has to break it up first. Lesson #2: It is insulin that puts fat into your tissue, and it is insulin that suppresses fat mobilization. So if you want to get fat out of your tissue, you have to lower your insulin. Lesson #3: Carbohydrate is driving insulin is driving fat. Fat is the one nutrient that does not stimulate insulin secretion, protein does. 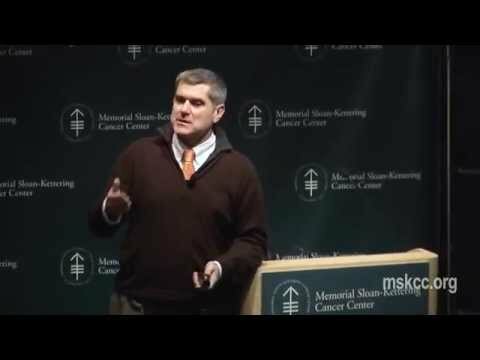 Gary held a similar lecture at Wallnut Creek Library, and in the last section he answers some very interesting question about cancer research. Insulin seems to be linked with cancer and has ties with Alzheimer’s disease. Several cancer researcher are on an Atkins diet not because they want to be slim, but because they do not want to get cancer. Dr Stephen Phinney, MD, PhD knows more about this than almost anybody. He has researched adaptation to very low carb diets (and exercise) for a long time. Here he shares this knowledge about ketosis, as well as insights from traditional cultures who never ever ate a lot of carbs. He has stayed on a ketogenic diet for more than 6 years, with 25 to 50 grams of carbs a day, which is 5% of his daily calories. He argues that you should consume protein in moderation, because high protein intakes reduces ketosis. Not as much as carbohydrates, but still. 75% to 80% of his daily energy comes from fat. Many people think of Atkins diet (Interview with Dr Eric Westman: part 1, part 2) as a high protein diet, but this is not true: when you look at the induction phase of Atkins, they might eat 1400 calories a day but they might burn 3000 calories a day. So the other half comes from body fat. When you look at what’s on the person’s plate, 600 to 800 of the 1400 calories comes from protein, that looks like a high protein diet. But that’s only what the mouth sees! In reality it is a moderate protein, high fat diet since the other half energy is coming from internal body fat. Once you get to maintainance–meaning you are not burning any more body fat–if you keep eating low carb and low fat, you will have to eat a whole lot of protein. (1400 calories of protein are about 1kg / 2.2 pounds of meat). At that level many people would feel sick. It would cause weakness, fatigue, and it your body will not get into ketosis which means now you have lost your easy access to fat. To make a sustainable low carb diet, you have to keep protein moderate, carb low; and the only other energy source is fat. 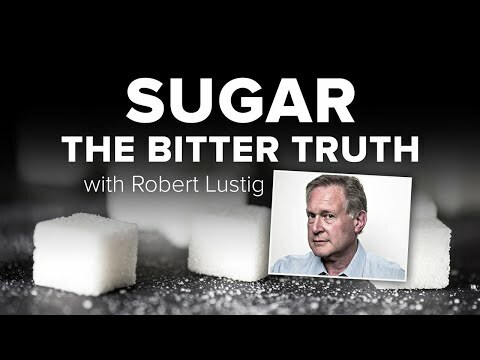 Robert H. Lustig, MD, UCSF Professor of Pediatrics in the Division of Endocrinology, explores the damage caused by sugary foods. He argues that fructose (too much) and fiber (not enough) seem to be cornerstones of the obesity epidemic through their effects on insulin. 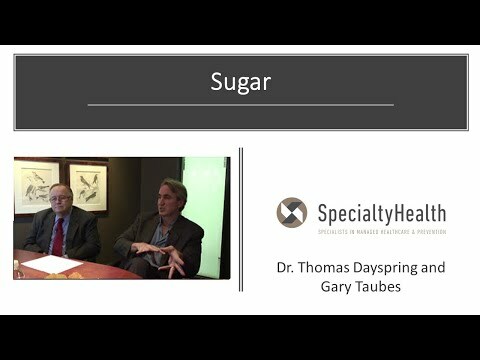 Very long and detailed video, why mostly about why high fructose corn syrup (or fructose to be more general) is very bad for your body. A 1 hour 29 minutes presentation, with almost 2 million views. 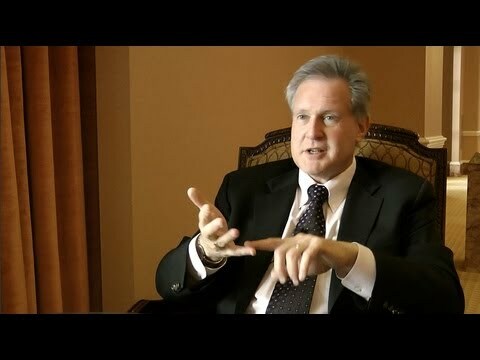 Robert Lustig’s talks about the reason for the obesity epidemic. There is a reddit discussion about the video, where user moozilla has extracted the slides. The evolutionary explanation is a mismatch between our environment and our biochemistry. When a normal kid eats a cookie, it will get a “sugar high”, it has now lots of energy and the body wants to get rid of it. When an obese kid eats a cookie, it does not get the sugar high because their leptin is not doing what it is supposed do. That is called leptin resistance. Fructose induces insulin resistance which then induces leptin resistence. Two different paradimes, when you put them together you got a problem. He speculates that this insulin resistance has evolved because it has an evolutionary advantage: Imagine harvest time. All the fruit is lying on the ground just waiting for you. And what comes after that? Winter! Four months of absolutely no food. Polar bears have hibernation, we don’t; we have the next best thing: seasonal insulin resistance. When fructose comes in and induces the insulin resistance and blocks that leptin, it lets you gorge, put on more adipose tissue, so that you can make it through winter. The problem is that nowadays fructose is available any time and everywhere, and it is unopposed by fibre which could mitigate it’s effect. Slides are available here. We have a cholesterol war: one side says cholesterol is bad, the other says it isn’t. Between these two fronts, what is the truth? Chris takes a mixed stance. This is an in very scientific analyzation of the science behind the claims. The abstract states that atherosclerosis is actually trying to protect the lining of the blood vessel from toxic waste generated by the degeneration of vulnerable lipids. The key to preventing heart disease according to the new paradigm is preventing the molecular degeneration in the first place. So, what to do? Eat your vegetables. Eat omega 3 rich foot. Get antioxidants. Dr. Miller is a professor of surgery, cardiothoracic division, Univ. Washington. He starts his talk with the classic assumption: According to the lipid hypothesis, saturated fat causes high blood cholesterol, which causes atherosclerosis which in turn causes coronary heart disease. He follows with an overview and history of fat and health. In his work he has followed the general advice to recommend a low fat diet to his patients and follow the food pyramid. He put them on a very low fat (ornish) diet. To quote Dr. Miller: “I was wrong”. Omnivores do not develop atherosclerosis when fed cholesterol. In his famous study, Ancel Keys selected 6 out of 22 countries and ignored the 16 other countries because they did not fall in line with his desired graph. In fact it turns out that people who have the highest saturated fat in their diets have the lowest risk of heart disease. Lots of native tribes eat mostly saturated fat. The mother milk has 45% saturated fat. The hunter-gatherer diet: our ancestors consumed high amounts of animal food, prefered the fattest parts (organs, tongue, bone marrow, brain), and low amount of carbs from plants (seeds, nuts, roots, tubers, bulbs, wild fruits–no sugars, starches and grains, corn, potatoes, rice, wheat, beans). The European Cardiovascular Disease Statistics 2005 shows an inverse correlation with fat consumption and the rate of heart disease. Multiple other recent studies show how saturated fats are good for you. “Blaming cholesterol for atherosclerosis is like blaming firemen for the fire they are here to put out”. What do you say to convince people interested in trying the paleo diet? 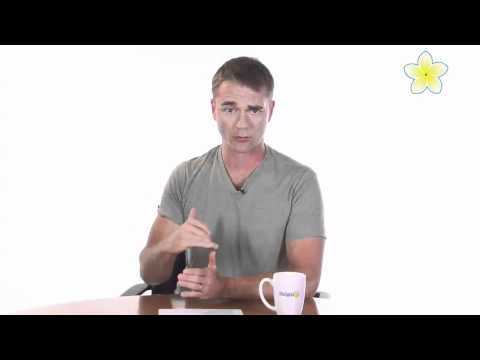 What are the short and long-term benefits of the paleo diet? 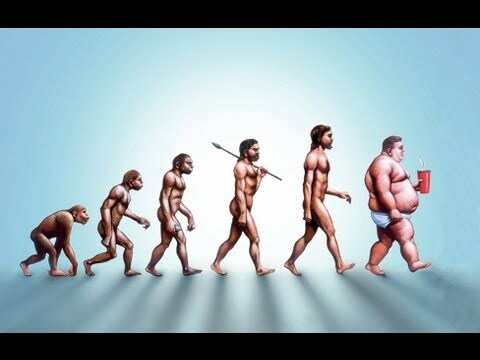 How long should one try to paleo to see results? Should individuals trying to lose weight on a paleo diet be worried about calorie intake? What are possible long-term negative effects of following paleo diet? What are the best snacks on the paleo diet? How does alcohol figure in the paleo diet? What does the paleo diet say about carb intake? What are some example paleo breakfast/lunch/dinner meals? What concerns are there about modern food quality when eating paleo foods? What non-dietary recommendations do you have for people wanting to be healthier? Is it possible to eat paleo on a frugal budget? What effect does paleo have on inflammatory diseases? He has a long answer covering obesity, diabetes, etc. What effects would paleo have on pregnancy? What advice do you have for vegetarians for eating healthier? What about cholesterol, isn’t all that fat bad for you? What does higher protein animal meat consumption have to do on the bodies pH level? What about all that meat causing colon cancer? What about the claim that caveman lived nasty brutish short lives? Exercise: how valuable is the concept of carb loading? What do you envision the future of the paleo diet? Could society support a completely paleo culture? To what degree are measurements of healthy lifestyle blood lipids, micro nutrients etc. skewed towards a neolithic baseline? What should we be teaching about diets in schools? What do you like talking about at corporate events? Garry: There is a lot of data that sugar is probably the fundamental cause of insulin resistence. So what starts us on the way to getting fat are the sugars. If I were to subscribe a healthy diet, the first thing I would remove are the sugars. Thomas: The only reason we study lipids is because we are on the mission to take out the number one disease that is killing Americans, and that is atherosclerosis which is simply a buildup of cholesterol in your artery wall, not a buildup of sugar. It is funny, although it is cholesterol that destroys your artery and causes plaque, the million dollar question is how did that cholesterol get in the artery wall? Cholesterol is transported in your bloodstream as a protein wrapped vehicle, the lipoprotein. If you have the wrong type of lipoproteins, and they cannot be cleared by your liver, they end up in your artery wall. So lipoproteins are the illegal dumpers. To make a long story short, when you have insulin resistance you’re gona have way too many of the wrong type of lipoproteins. And it does not matter if your cholesterol levels look good, if you have these bad lipoproteins I’m gonna sign your death certificate. Garry: The problem is that cholesterol is easy to measure, lipoproteins are difficult to measure. So what was easy and what we could measure came what we believed as opposed to letting the science drive this. Garry: The food industry loves the idea that it’s all about calories because then there is no such thing as a particular fattening food or a toxic food, it is just, “Hey, Coca Cola is fine, just drink it in moderation. If you start getting heavy, exercise more.”. The point is, it is not about calorie. It is about literally what these hormones do to the liver, to your fat tissue. One of the things the insulin hormone does is tell your body to hold onto fat and to store it. Thomas: You could be fooling your brain into “you have satisfied my sweet hunger for half an hour”. There are many studies that show that people who drink diet coke get very obese. I think they have the sweet craving. Garry: It is probably better than the real thing with the sugar, but it is quite possible that as the brain gets involved you have these Pavlovian responses. It is quite possible that you have a Pavlovian response that includes secretion of insulin or a change in the sensitivity of several organs on insulin levels that affects how you are holding on and metabolizing fat and that continued craving for sweets. Garry: It is not “you are what you eat”, it is “you eat what you are”. So what you are is water, fat, and protein. Whenever I watch a video that adds new, interesting information, I will add it. Please post or send me links if you think I have forgotten an important addition. 2012/02/08 – Removed “fat head” movie, it is not available any more. 2012/02/04 – Added “The Paleo Diet - Robb Wolf answers questions”, lots of good question and answers about the paleo diet. 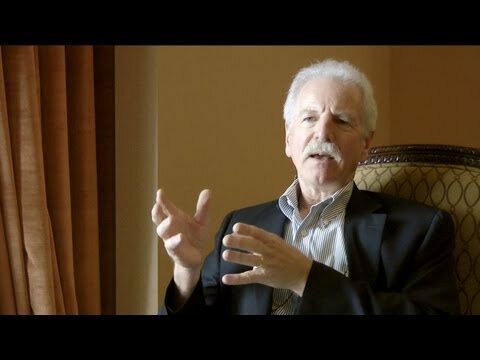 2012/01/28 – Great video from W. Miller about saturated fats added. 2012/01/28 – Add video “Heart Disease and Molecular Degeneration” by Chris Masterjohn which is about cholesterol and atherosclerosis. 2012/01/22 – Added “The Trouble with Fructose”, which has an interesting explanation of why we have insulin resistance.